Reinhard Werthner has built an extraordinary career as a resort Hotelier and corporate leader in casino operations and management. He began his career as a Culinary Chef and worked in a variety of world renowned hotels and restaurants internationally. Werthner earned his B.S. degree from Cornell University of Hotel Administration in 1975 and became Corporate Food and Beverage Director with Hyatt International after a short assignment at what is now known as the Park Hyatt Chicago. In 1980, Werthner joined Marriott International Corporation in Washington, DC, as Vice President of F&B Concept Development. From 1980 to 1985, he assisted in over 80 hotel openings. In 1985, Werthner went back to operations and managed and guided several Marriott Hotels in Washington, DC; Bremen, Germany and Hurghada, Egypt. In 1995, Werthner served as the opening Vice President and Managing Director of the 600-room Westin Rio Mar beachfront resort in Puerto Rico (owned by Tishman Realty Corp.). In 2003, Werthner accepted an inter-company transfer to the International Hotel Development Division to manage the office in Warsaw, Poland. 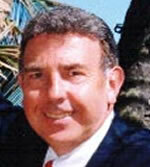 In 2005, Werthner moved to Halkidiki, Greece, to manage the Porto Carras Casino and Golf Resort. This vast resort harvested its own vineyards, operated a marina, casino, thalassotherapy spa, stables and three hotels. From 2007 until 2009, Werthner managed the Sandia Resort & Casino in Albuquerque, NM as Chief Operating Officer. The property was owned by the Sandia Native Americans. During his years in Puerto Rico, Reinhard Werthner served on the Board of Directors of the Caribbean Hotel Association (CHA) and was President of the Puerto Rico Hotel and Tourism Association (PRHTA). He was also a member of the Board of Directors of the Puerto Rico Tourism Company, Board Member of the Department of Natural Resources Beach Committee, and President of the Villa Las Brisas Homeowners Association. Since 2010, Reinhard Werthner resides with his wife in Naples, Florida.